STRIKES have proved to be a headache for many shipowners during Q1, according to mutual delay insurer The Strike Club. Strikes are a prime reason for delays suffered by shipowners and charterers. In the January-March period, strike and lockout situations erupted in France, Brazil, Vancouver, Rotterdam, Bangladesh, Greece and Argentina. The most serious was at the French port of Marseilles which caused a huge backlog of tankers and other vessels waiting to unload. It was not until March 31 that the 18-day strike, resulting from a dispute over who should be authorised to discharge gas tankers at a new terminal, ended. In Greece, the port of Piraeus reopened in January after a 56-day strike by dockers. In the Netherlands, the major European hub port of Rotterdam was subject to one dispute after another by disparate groups of essential port workers. Several of these strikes resulted in claims from Strike Club members. 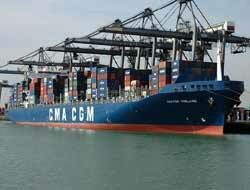 However, the club adds, industrial unrest is not the only threat to the maritime transport chain. Delays can result from many other onshore incidents and from accidents. A dramatic example of this, says the club, came late in March when the Rhine, the major transport artery between east and west Europe, was blocked for over a week after some 31 containers slid into the river from the carrying vessel as it attempted to negotiate a sharp turn in the waterway. In the same month, a Greek-operated bulker loaded with wheat collided with and sank a small private vessel in the Bosphorus Strait, and the bulker had to wait at anchor for inspection.